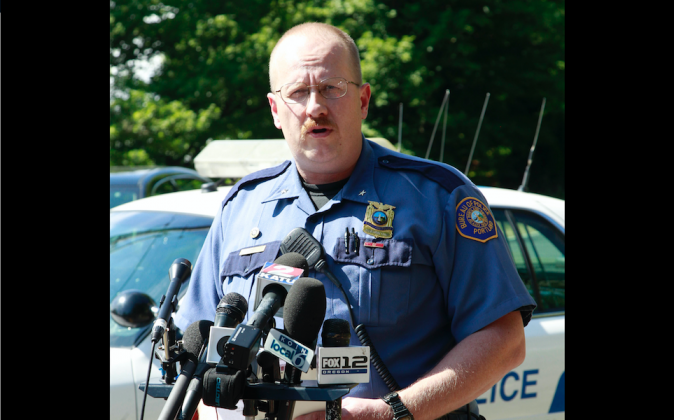 Portland Police Chief Larry O’Dea has been placed on paid administrative leave by Portland Mayor Charlie Hales, after new information surfaced alleging the chief misled the investigation of an accidental shooting during a hunting trip. The incident happened in late April, when O’Dea was on vacation in Harney County, according to the statement. Oregonlive, by The Oregonian, reported that O’Dea and other witnesses “steered” the responding officers into believing the friend’s wound was self inflicted. O’Dea also failed to identify himself as a police officer to the responding officer, and did not mention he accidentally fired the shot from his rifle. Four days after the shooting, on April 25, O’Dea admitted the accident to the mayor, saying he negligently discharged his rifle—with no further details. Authorities have yet to identify the friend, stating only that he was a 54-year-old man, Oregonlive reported, citing the mayor’s spokesman, Sara Hottman. Also, O’Dea was given a written order, aka Communication Restriction Order, by the Portland Independent Police Review—restricting him from discussing any facts in the case. Portland’s Assistant Chief, Donna Henderson will be the acting police chief. Hales said the Oregon State Police, Oregon Department of Justice, Portland Police Bureau of Professional Standards, and Portland Independent Police Review all have launched investigations into the incident.